Rose Tree Cuttings in Spain. There are four different ways of propagating roses- seed-sowing, layering, budding, and taking cuttings (hardwood and softwood). 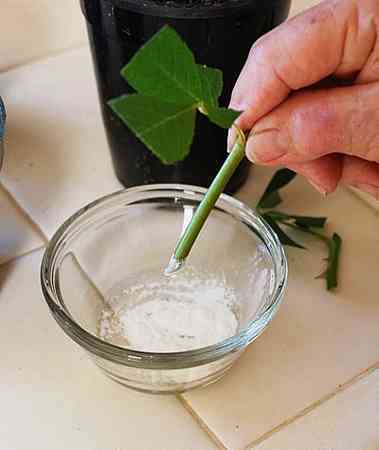 The good news is that taking cuttings is one of the best methods because it is fast, easy. You have seen the most magnificent display of roses and would like to have the same kind in your garden, but neither you, nor the owner of the rose have any idea what the name of the rose is. What do you do? You propagate your own using softwood from midsummer growth! There are four different ways of propagating roses – seed-sowing, layering, budding, and taking cuttings (hardwood and softwood). 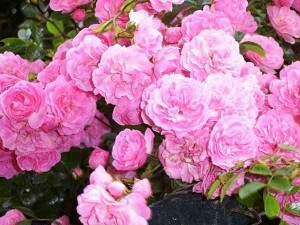 The good news is that taking cuttings is one of the best methods because it is fast, easy, and you can make as many new roses for free to add to your garden as you want. 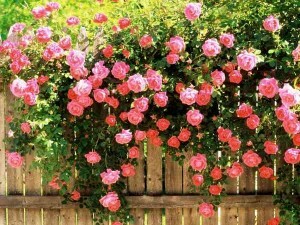 Plus, most roses can be taken from cuttings. The only two rose types that do not do well are Hybrid teas & Grandifloras. 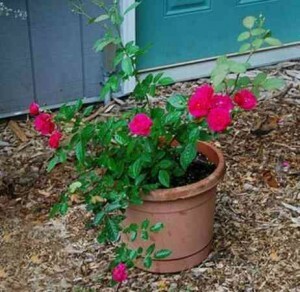 Just about all other rose trees can be propagated by cuttings including climbers, ramblers (groundcover roses), floribundas, and most shrub roses. One more advantage of taking cuttings as opposed to budding rootstock is the absence of suckers, because all shoots will belong to the variety being grown from cuttings. So, because it is the perfect time of year right now, and because so many more roses do well from softwood cuttings than other propagating methods, the following step-by-step tutorial is going to show you exactly what to do to get the best results. 1. 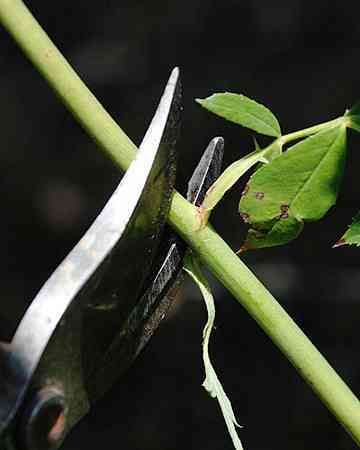 Softwood cuttings should be taken from roses in early to midsummer. 2. Choose a healthy shoot (or more) of the current season’s growth that is about as thick as a pencil. 4. 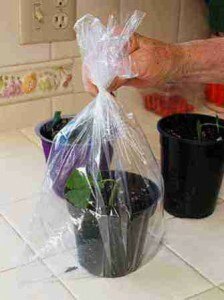 Immediately place the shoot in a plastic bag or damp newspaper to keep it fresh. 5. 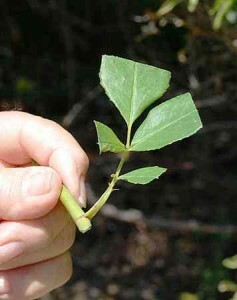 Cut the shoot into sections, cutting above each node along the stem, so that each internodal cutting has one leaf at the top. 6. Throw away the growing tip, it will be too soft to root. 7. Trim the leaflets in half to reduce moisture loss. 8. Dip each cutting in a fungicidal solution like a mixture of neem oil and water to prevent rot. 9. Then dip the base of each cutting in rooting powder and tap it firmly to remove any excess. If you get too much rooting hormone on sometimes it will inhibit growth, which is not what you want. You can also use honey as a rooting hormone which is also a natural antibiotic, or you can make your own rooting hormone with willow water (See recipe elsewhere). Plant the cuttings about 2 inches (5 cm) apart in 1 inch (2.5 cm) seed soil mix in a tray or in individual pots. Firm the soil around the cuttings because loose planting is a common cause of failure of the cuttings to root. Make sure the cuttings do not touch each other. 10. Keep the cuttings moist, and maintain high humidity around the cuttings by tenting them in a plastic bag. 11. Provide bottom heat of about 27°C for about four weeks where after you can reduce the temperature. 12. Harden off the rooted rose tree cuttings by gradually reducing the time they are covered. 13. Remove any flower buds that might form. 14. A good sized plant can be produced this way in about two months, and they are now ready for planting out in your garden. 15. Cut back the young plants by about half to make sure they stay bushy and then just treat them as you do your other roses. Rose tree cuttings from your garden make great gifts to give to other rose enthusiasts or other gardeners that might like to start or expand their yard or garden. Once you get the hang of softwood cuttings, you might want to forge ahead into budding, layering, or seed-sowing, and while those methods are harder, they are just as rewarding when you do them successfully. The active ingredient of many commercial rooting products is Indolebutyric Acid (IBA), a natural plant hormone. Although store-bought rooting hormone powders now use a synthetic version of IBA, you can try the real thing by making a batch of willow water. Get a handful of willow twigs (any Salix species will do). Cut them into pieces a few inches long. Soak the twigs in a few inches of water for a day or two, then remove the twigs. Use the willow water to soak cuttings in overnight, or to water newly started cuttings, or to help transplants. Now remember since this method is not very exact, the strength of the willow water can vary depending on the time of year, the number of twigs, the concentration of hormones in the twigs, and the amount of time that the twigs were soaked. You will, however, still get a solution that will help your plants root. The Ultimate Rose Book: A New Expanded Edition Hardcover. The spectacularly successful “Ultimate Rose Book”, first published in 1993, is back in a thoroughly updated and revised edition. Stirling Macoboy’s book has become a classic among rose lovers, not just for its beautiful pictures and comprehensive coverage, but also thanks to its author’s good-humoured and opinionated observations and selections. Out of tens of thousands of rose varieties, he chose 1,500 for this definitive book.The new edition includes 300 varieties that were not in the previous one, selected for their beauty, fragrance, hardiness and popularity, as well as new chapters on the history of the rose, the renaissance of garden roses, climbers and ramblers and great rose gardens of the world. This is in addition to updated chapters on the classification of roses, wild roses, old garden roses, modern roses, miniatures and multi-floras, rose cultivation, special roses and rose breeders, as well as a glossary and bibliography. The 2,000 colour photographs include all of the varieties named in the book.An indispensable reference that possesses visual beauty and literary wit and soul, “The Ultimate Rose Book” is for gardeners and rose lovers everywhere. Rose Tree Cuttings. Rose Tree Cuttings Gardening in Spain. There are four different ways of propagating roses – seed-sowing, layering, budding, and taking cuttings (hardwood and softwood). The good news is that taking cuttings is one of the best methods because it is fast, easy. Rose Tree Cuttings. Spain Info rose tree cuttings, San Francisco De Asis, Urb Marina, San Fulgencio, 03177, Alicante, Spain. 38n21, 0w29.